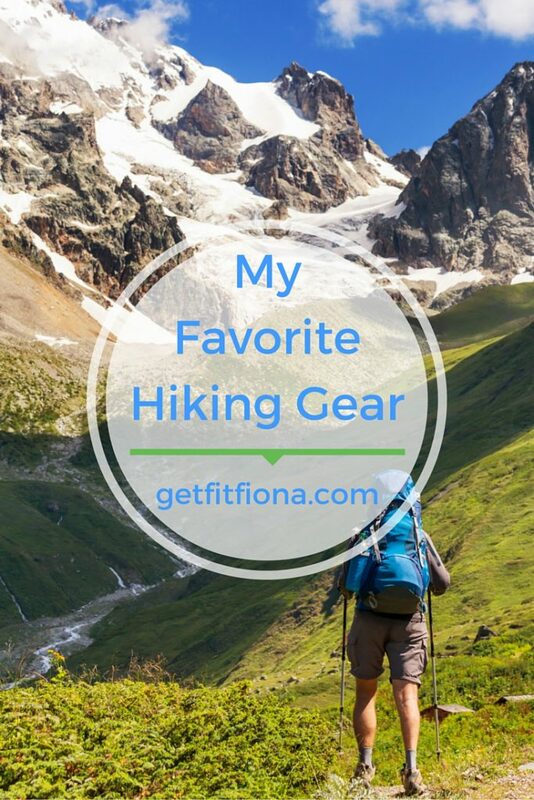 Since I went on my first hike of the summer last week (Big Hill Springs), I thought I’d put together a list of some of my favorite hiking gear. I actually have a backpack that I keep some of this stuff in year round. It’s super easy to get ready to go for a hike then, since I only have to add a few things to it. Guide book Having a good guide book with lots of details about the hike you want to go on is essential. Knowing details about the trail head (I’ve driven past lots of them while looking for them! ), the difficulty, and how long it is makes all the difference when planning for a hike that you’ll enjoy rather than be in over your head. 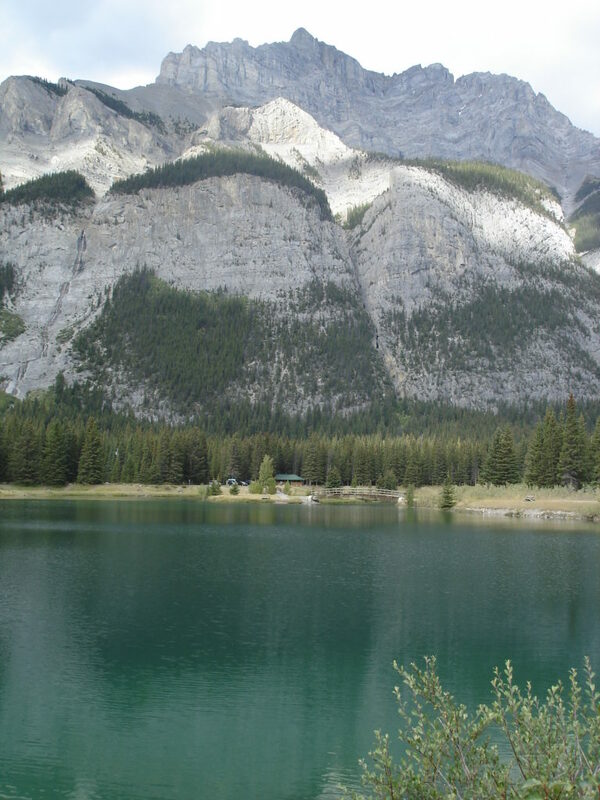 I really like the Canadian Rockies Trail Guide (affiliate link) for hikes in Alberta and British Columbia. Map If you’re planning on spending any amount of time hiking in the same area, I’d suggest getting a topographical map. It’s pretty cool to unfold it at the top of a mountain and be able to identify the other mountains around you. 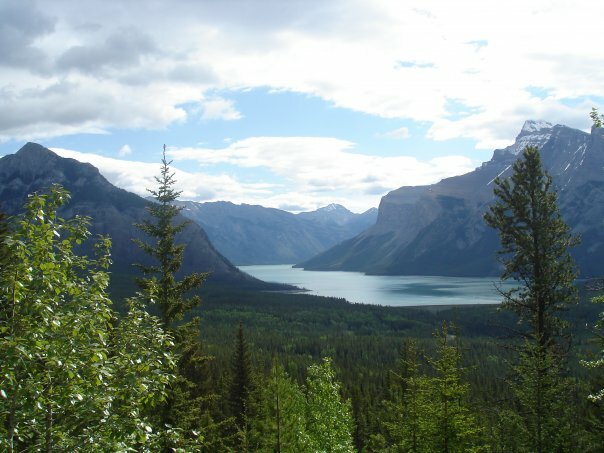 They’re also useful for planning which hikes to do, as they give you a good idea of how much elevation is covered. I like Gem Trek maps for the Canadian Rockies. First aid kit You never know when something is going to happen, so being prepared is key. Having even a little first aid kit like this one (affiliate link) is helpful – even if it’s just to deal with blisters or a scraped knee. Waterproof jacket Going into the mountains means that you have to be prepared for the weather to change quickly. Even though it might not look like it’ll rain when you start out from the parking lot, the sky can look very different in as little as 30 minutes. I always make sure I have a waterproof jacket in my backpack. I recently bought this one for my trip to Vancouver in July. Vancouver is notoriously rainy, and since it’s packable it takes up minimal room so that I can pop it into my bag and not have to worry. Hiking boots If you’ll be doing any amount of hiking it’ll be worth it to invest in a pair of good hiking boots. They’re so much better than runners if you’re on rocky paths or hiking in the mountains. I like ones that are a bit higher and go around my ankle for an added bit of support. Before you go on your first hike, make sure to wear them in first. If you don’t, I can practically guarantee you’ll come back with blisters. Sunscreen Since I have such fair skin, sunscreen is a must for me if I’m spending any amount of time outside. This spring I bought this sunscreen from Ombrelle. Now that I’ve been using it for a few months I can say that I really like it. Bug spray Bugs can make a hike miserable. Plus dealing with bug bites for the days after a hike aren’t very fun either. I always go with this one (affiliate link). Water bottle with plenty of water As with any sort of physical activity, it’s important to stay hydrated. I like water bottles better than water bladders for the most part. I’ve been using this one (affiliate link) from Thermos and I’ve really been liking it. It has a latch that ensures that it won’t open up by accident while it’s in my backpack. Food Lastly, make sure you bring enough food with you. You can burn through a ton of calories if you’re hiking up the side of a mountain, so make sure to bring a bit extra over and above what you think you’ll need. One of my favorite things to bring with me is trail mix. It’s calorie dense and easy to eat, and doesn’t create any trash. Click here for my trail mix recipe. Where did you go for your last hike? Sunshine Meadows was the last hike we did I believe. We also did Fenland trail, Johnson Lake, Stewart Canyon and Lower Bankhead last summer. I loved the Lower Bankhead one! It’s so cool to see the remains of the ghost town.